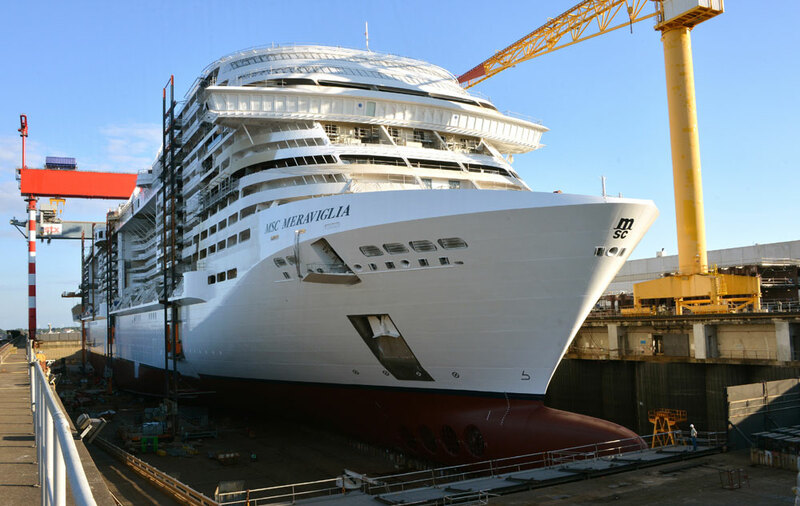 MSC Cruises took delivery of its largest ever cruise ship at the STX France shipyard in Saint-Nazaire, France. MSC Meraviglia which is the largest cruise ship built for the cruise line to date has today been delivered from the shipyard. The delivery was celebrated with a traditional flag ceremony at the STX France shipyard which was attended by key executives. The new vessel is, in fact, the biggest of 2017 and among the largest in the world at a huge 171,598 gross tons and carrying a maximum of 5,714 (4,488 at double occupancy). We’ve been posting about the MSC Meraviglia since the cruise line first teased the new ship in 2015. From there after MSC has been keeping the world updated with new details, renderings and construction updates until now. As MSC take over the responsibility of the ship it now means Meraviglia and set off and begin cruises where she can show off the latest and greatest features in the fleet. Nine Million man-hours have gone into to building the vessel over three years which is impressive. A team of up to 3,000 workers month has been involved in the ship’s construction process and there have been over 400 suppliers. MSC Meraviglia is the first in its class and the first of two new class cruise ships entering service for the cruise line this year. MSC Seaside will also be delivered by Fincantieri in Italy this December. 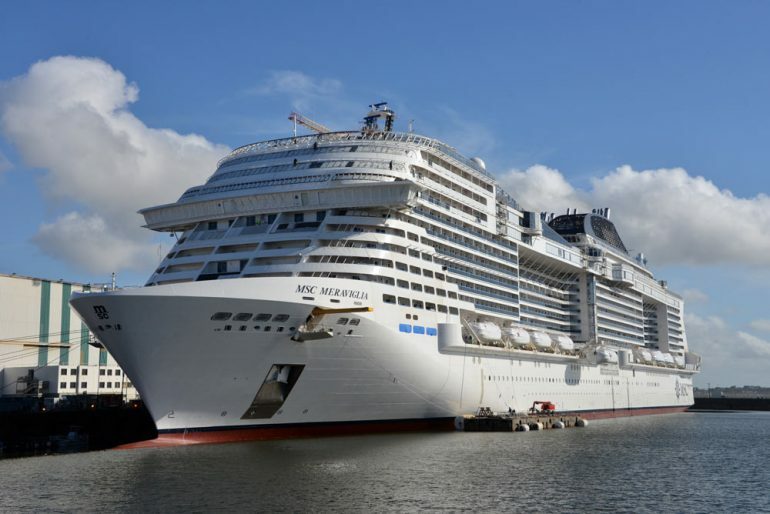 After the closing of the flag ceremony, MSC Meraviglia is due to set sail towards the Port of Le Havre for her christening ceremony on June 3. She will then begin her first sailing along the Atlantic coast, calling at Vigo (Spain), Lisbon (Portugal), all the way to the Mediterranean, calling in Barcelona (Spain), Marseille (France) and eventually Genoa (Italy). She will commence the first regular 7-night itinerary on June 11, sailing from Genoa on to Naples (Italy), Messina (Italy), Valletta (Malta), Barcelona, Marseille and back to Genoa on June 18. Feel free to discover more about the new cruise ship with a rendering video which we previously posted. The ship’s christening will take place on Saturday, June 3 in Le Harve, France.